New restaurant ideas battle for a life-changing investment - a bao bun concept seeking £575k, a Burmese supper club asking for £100k and a vegan rice-bowl stall after £250k. 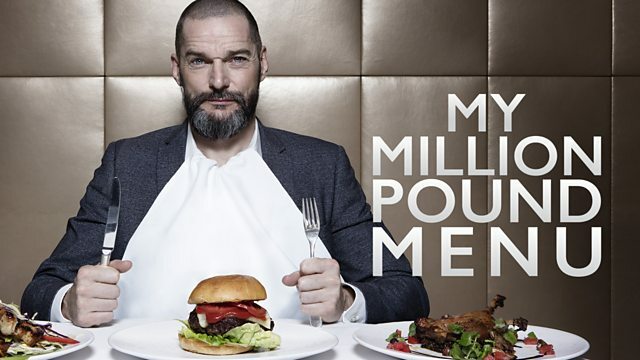 Fred Sirieix oversees a battle for investment between three restaurateurs who think their take on flavoursome ‘grab-and-go’ food will secure them the chance for big-money backing to open on the high street. First, they pitch to four of the industry’s top investors for the opportunity to open for business in Manchester. The single idea with the most investment potential is given a two-day trial to prove themselves worthy of the money they are seeking. However, only those investors with the most passion and interest in the idea will follow it to Manchester. This time, those pitching include ex-couple Scott de Lima, 29, and Lacey Miles, 28, who think their idea for giant Taiwanese bao buns, filled with fusion American fillings, Tiger Bites, is worth £575k. Scott and Lacey started dating in 2012, but broke up at the start of this year. With Tiger Bites already underway they have stayed civil and quickly developed a working relationship to keep the dream alive. They are now asking for £575k to open their first restaurant and take their signature Kung Fu Panda Baos, available in fried chicken and vegan options, to the UK high street. Going up against them is Wincie Wong, 38, whose idea for a modern Burmese lunchtime outlet, Burmese Kitchen, was inspired by her mum’s dishes like Mama Wong's mohinga – a fish stew with rice noodles served with yellow split pea crackers (beh kyaw), hardboiled eggs, coriander, chili flakes and a wedge of lime. Having grown up in New York, Wincie now lives in London. The lack of Burmese restaurants in London prompted her to learn her mum’s cookery, and after her mum passed away, Wincie has carried on her legacy with her supper-clubs. She’s looking for £100,000 to start Burmese Kitchen in its own space. Finally, two friends who think their grab-and-go vegan rice bowls, with meat topping options, Really Rice, is worth an investment of £250,000. Kyle Parker Graf, 27, and Damian Grisi, 27, met whilst studying hospitality management. With friends from all over the world, they shared dishes from their home countries and spotted one common denominator, rice. Their street food stall has been trading since March and they want it to go permanent, with dishes like Trip to Japan - purple jasmine rice, apple and potato sweet curry, ginger-tamari glazed tofu and salted edamame beans. Each of the three ideas pitches to a panel of four investors, all looking to back the next hit ‘grab-and-go’ restaurant idea on the high street. Jamie Barber is behind a number of successful restaurants including Hush, Cabana Brasilian BBQ and Haché Burger Connoisseurs. Having previously founded and co-owned restaurants including Villandry, Japanese restaurant Sake No Hana, and Italian casual dining brand, Kitchen Italia, his pedigree in backing winners in the food business is second to none. Maurice Abboudi is an experienced operator and investor who has developed and sold several businesses in the sector. He was head of business development at Domino's Pizza and more recently was involved in the sale of a chain of 17 pizza sites to Pizza Express in 2016, and was chairman of an online ordering system for restaurants which was sold to UberEats in 2018. Maurice is currently an executive director of K10 Japanese restaurants. Jane O’Riordan has been involved in the acquisition, growth and development of companies such as Nando’s, Gourmet Burger Kitchen, Pizza Express, Ask, Zizzi and others, as part of the Yellowwoods investment team, over the past 20 years. She is part of the team who grew Nandos internationally and throughout the UK. She has a 1st class BSc in mechanical engineering, and an MBA from Harvard Business School. Will Shu is the founder and CEO of UK-based online food delivery company Deliveroo, which currently operates in 13 countries, and delivers from over 50,000 restaurants in over 500 towns and cities across the globe. In just six years, Deliveroo is now valued at £2bn. In each episode the winning idea has two days in a brand new 50-seater restaurant, in the heart of Manchester’s bustling bar and restaurant district, to prove that their food, menus, pricing, service, team-management and business plans are worth the big money investment they are asking for. On the first night they open for a half-price soft launch to the public and the investors, before being grilled in detail on their numbers and business plans the following morning. Finally, they open for a full-priced lunch service, during which the investors must consider whether to invest or not. As the investors are in competition with each other, Fred will set them a deadline by which time they have to return to the restaurant if they intend to invest. With final service over, the operators face an anxious wait with Fred to see if anyone returns. All they need is for one investor to walk through the doors and make them an offer, and their business fortunes and restaurant dreams will change forever. Celebs and talented members of the public go head to head and showcase their skills.